Preheat oven to 350 degrees F. Put butter and sugars in the bowl of an electric mixer fitted with the paddle attachment. Mix on medium speed until smooth and creamy, about 2 minutes. Mix in eggs one at a time until combined. Stir in vanilla. Sift flour, baking soda, baking powder and salt into a medium bowl. Gradually stir into butter mixture until combined. Stir in chocolate chips and drops. Drop batter by heaping tablespoons onto baking sheets lined with parchment paper, spacing about 2-inches apart. Flatten slightly. Bake cookies until golden, 16-18 minutes. Let cool on sheets placed on a wire rack for 2 minutes. Transfer cookies to racks to cool completely. 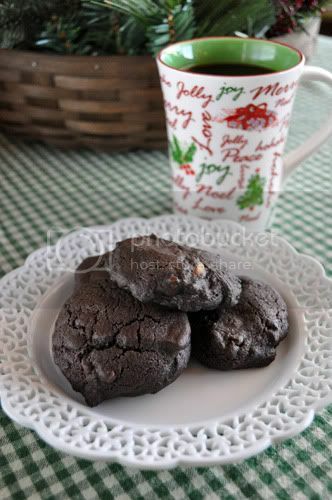 Cookies can be stored in airtight containers at room temperature up to 3 days. Wow! 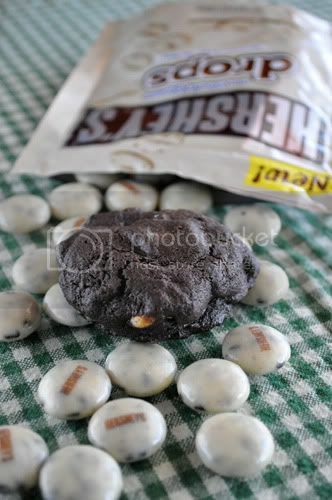 I may have to make these for a friend of my who’s a certified chocolate fiend! Oh! These look WICKED good! I just used those drops in some fudge. Good stuff. 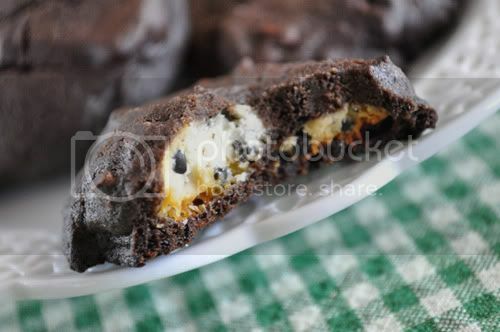 Love stuffing them in a chocolate cookie!